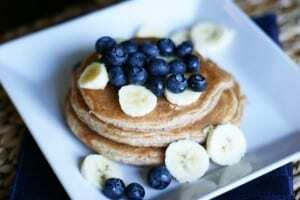 How to Make Protein Pancakes in less than 5 Minutes! Do you have a sweet tooth? but want to stay on track with your nutrition? If you said ‘Yes!’ that’s awesome! I have a deliciously tasty, protein pancake recipe that i’m going to share with you. I’ll be showing you HOW TO MAKE Protein Pancakes (in LESS than 5 MINUTES with JUST 4 INGREDIENTS!!!) Oh and they COST LESS THAN £0.30p per pancake!!! Choose 1 from the following. . . They taste yummy but are friendly on the tummy! Hope you enjoyed! If you have any questions or comments please leave them below I would love to hear from you. Also if you have any tips on how to improve this recipe please share your secret ingredients.